As you can see we searching for you tutorials about how to make different useful clothing from simple tee shirt. Today we have searched another great tutorial for you. 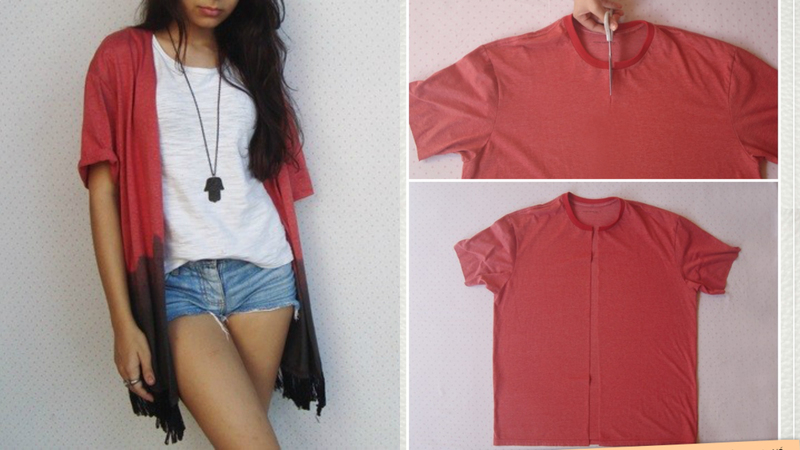 With this tutorial you will learn how to remake t-shirt in useful and pretty kimono. You just need simple t-shirt, that’s may be old t-shirt which one you don’t using any more and some other supplies you can view the list of supplies in tutorial of course. What about color, color you can choose any, because we think this kimono will be good in any other colors too. We hope you will enjoy and share with your friends with this tutorial.